Crooked Pint Ale House is a very popular bar in the US. It has in a very short span of time turned out to be a favorite place of getting together where you can spend some quality time with your loved ones over a mug of cold beer and a sizzling hot meal. The USA Today 2017 Readers’ Choice has voted this bar as the best in Minnesota. Here, not only couples even friends and families in groups are most welcome. Not to forget the junior segment you can also bring in your kiddos as there is a special menu in store for them too. Sandwiches – These sandwiches are served with fries or a side salad prepared with freshly baked bread. Some of the varieties are Jumbo Sausage, Prime Rib French Dip, Open-Faced Turkey Sandwich, Triple-Decker Club etc. Soups – The two varieties available are Beer Cheese and Soup Du Jour. Weekend Brunch – It includes a range of menus that is served between 10 am to 2 pm on weekends. Desserts– It includes Apple Crisp Skillet and Chocolate Chip Lucy. For Kids– Specifically for kids of 12 years and under, it includes one kid’s beverage, Crooked Chicken Strips, Hamburger, Kraft Mac ‘N’ Cheese, Grilled Cheese Sandwich. Crooked Pint Ale House gift cards are just the perfect gift for any foodie. They are available in any denomination you want and that suits your budget. You can buy them either from the store or online and gift your loved one a food voucher that they can go and redeem later. The happy hour is a specific period in a pub when drinks are sold at a reasonably cheap price to attract customers. In US, it is kept usually in the late afternoon. 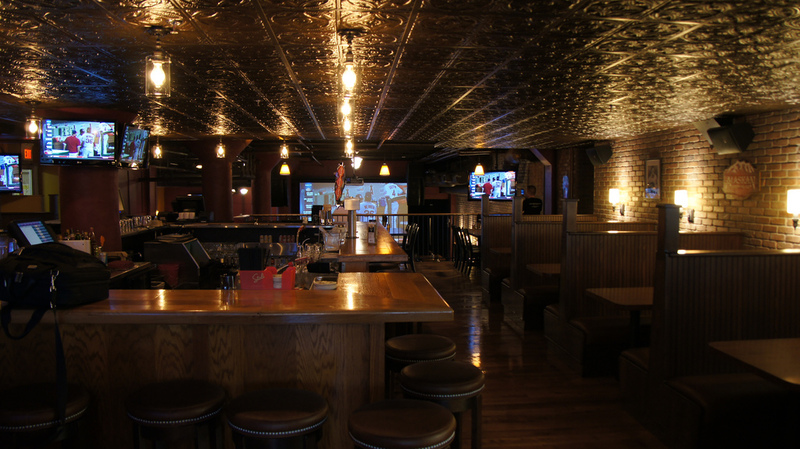 Crooked Pint Ale House, one of the best sports bar, has also come up with the concept of happy hours when they offer you a great deal on wine, beer, specialty drinks and shareable plates. You will get the shareable normally between 3 to 6 pm every day and the drinks 11am-6pm on weekdays and 10 am to 6 pm on weekends.